Which Blue Would You Like to See on 991? Eduardo........that Crystal Blue is so beautiful and special! Love it!!!!! OK, it's an Audi color, but if you are going PTS, might as well go all the way! Actually, the most stunning blue I ever saw was on a 997TT that was done in Silver Lake Metallic (a Bentley color). Last edited by Dr.Bill; 02-11-2013 at 08:44 PM. Lastly. In the approved colour I found a misterious BLUE FRANCIA (French blue???) W29. I could not find any pictures of it anywhere. Can anybody help? Actually. Looking at the latest list of approved colours I cannot find this Sepang Blue (which is very similar to aqua btw, maybe a touch lighter). Not of RS (Nogaro) Blue which made it to a 993 GT2 uk registered a few years back. Which former owner (PH member) is now in jail so can't access the info :-) Lastly. In the approved colour I found a misterious BLUE FRANCIA (French blue???) W29. I could not find any pictures of it anywhere. Can anybody help? I'm not 100% sure, but I think it's an old Alfa Romeo color "blu francia". As Bill wrote on his post, it's a fairly recent Audi color. And no one has requested it for a Porsche, so it's not on the current feasibility or approved PTS list for Porsche! 'Bleu de France' is the official auto racing color of France since 1900. When you think of Bugattis, the color comes to mind! 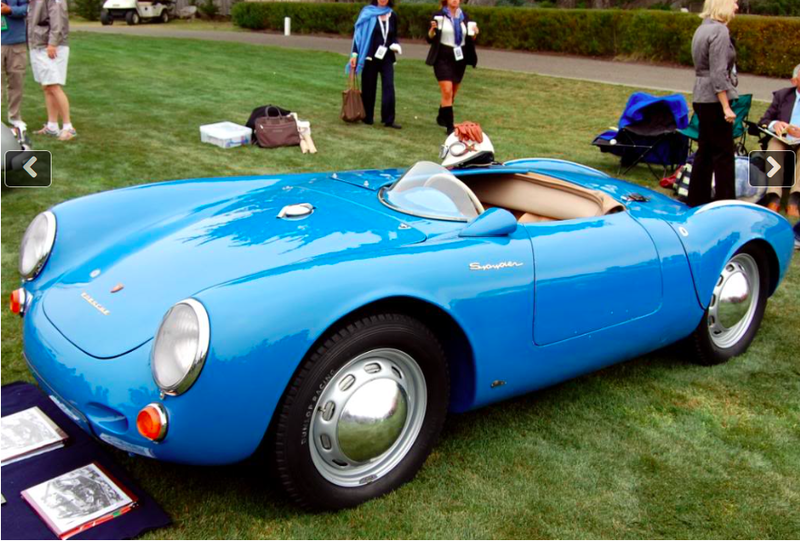 There is a famous Porsche 550 Spyder in a similar color which is often seen in Laguna Seca during the August Historic Racing days. Edit, meant Albert or the current dark blue metallic. Though, I'm biased and I have yachting blue interior as well. Last edited by 008; 03-03-2014 at 09:50 PM. ...would like to see a Marathon Blue! Quick Reply: Which Blue Would You Like to See on 991?